Thank you for your interest in the O’Neil Skin and Lipo Medical Center, your finest choice for cosmetic surgery. My practice is dedicated to providing top quality work and maximum results with a natural look and conscientious care. We specialize in Body Contouring (since 1994) and Skin Rejuvenation (since 1981). Skin Rejuvenation at the O’Neil Skin and Lipo Medical Center is extremely unique in the cosmetic world for improving age and beauty. 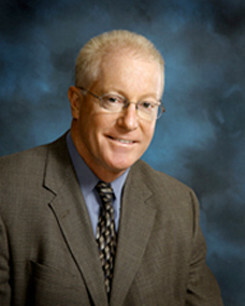 Dr. O’Neil is a member of the American Academy of Cosmetic Surgery. He has extensive training in the procedures that he performs at his clinic. SmartLipo™ can be a great adjunct to Tumescent Liposuction procedures, although it does not replace conventional liposuction. It is ideal for treating the abdomen, hips, inner and outer thighs, arms, back, breasts (gynecomastia), neck, small areas of the face, and other areas of loose and flabby skin (floppy skin). When it comes to the face, nature does not always work in a person’s favor. A non-surgical facelift can help to undo the unwanted effects of aging and other environmental factors. Techniques can improve age spots, freckling, and discoloration of the arms and legs. Please contact our office for current specials and upcoming events. Our office provides a convenient way to secure financing through CareCredit.